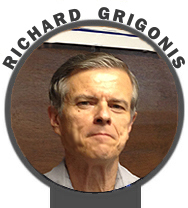 Richard "Zippy" Grigonis is currently available for writing, editing, consulting or conference speaker/moderator engagements. 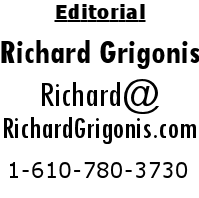 Contact Richard AT richardgrigonis.com (Replace the "AT" with the customary "@") or call 1-610-370-9879. Hear Richard Grigonis talking about Ivan T. Sanderson on the Barry Farber Show. The documentary Twittamentary is Singaporean filmmaker Tan Siok Siok’s (@sioksiok) paean to Twitter and its impact on an eclectic group of users. Twittamentary may not be as well-financed as Columbia Pictures’ blockbuster recounting of Facebook’s origins, The Social Network, but it’s a lot more interesting and downright innovative, an example of how storytelling will be transformed in the age of the real-time web. To those immersed in social media throughout their waking hours, the deceptively simple question of how Twitter and the real-time web have affected humanity would seem superfluous, and yet even a hard-core Twitter user will probably be shaken up and invigorated by experiencing Twittamentary’s energetic editing and unique form of audience participation, not to mention the procession on the screen of unexpected Twitter aficionados, be they prostitutes or pundits. The documentary, three years in the making, had its genesis when Tan started using Twitter in December 2007. Although her initial impression was that Twitter was “the weirdest application on the planet,” she was soon intrigued by its social influence and decided to make a film about it and its adherents. Unlike conventional documentary filmmakers, she has a knack for digging deeper into her chosen subjects and almost routinely brings to light unsuspected treasures, rich and diverse stories that no one guessed could exist. But with Twittamentary, Tan Siok Siok is definitely not trying to persuade us to adopt a given dogmatic perspective or point of view about the world. Indeed, some of Twittamentary was created in an innovative manner by receiving material via “crowdsourcing,” or inviting tweeters worldwide users to contribute their own stories, ideas, videos and images that could impact the filmmaking process. Moreover, each person who appears on the screen is accompanied by their Twitter handle, so that audience members can tweet them while they are watching the film!Twittamentary therefore carries implications about how a technology and those affected by it can not only be the subject of a documentary, but how a technology can transform the documentary process itself as part of some great metaphysical feedback loop. Twittamentary is thus both a fine authentic contribution to the century-old documentary tradition as well as a radical restatement of it, all while forcing us to bear witness to the way the real-time web has wormed its way into our lives. Many documentarists (Robert Flaherty, Arne Sucksdorff, etc. ), often took to world-wandering, and the major event in the making of Twittamentary came in 2009 with a “whirlwind road trip” across America by Tan Siok Siok to personally discover and document the effects of what had now become the social media’s superstar micro-blogging app. As she nimbly tracked down twitterers with her camera, she was aided every step of the way thanks to a chance encounter with The State of NOW’s most original Character, Geo Geller (@geogeller), an artist who explores the intermingling of sound, silence and images. Geller served as her camera operator, assistant cameraman and best boy! In the film, Tan and her new-found companion Geo bravely charge from coast-to-coast, across an uncertain American landscape in search of interesting twitterers, sometimes without knowing if they will make their travel connections or have a place to spend the night. They were like later-day versions of Phileas Fogg and his assistant Jean Passepartout in Verne’s Around the World in Eighty Days. In that novel, Passepartout’s name is a play on the term Passe-Partout (French for “passkey” or “all-purpose”). Similarly, Geo Geller turned out to be the “master key” that opened some secret compartments of the Twitter universe and exposed them to the lens of Tan Siok Siok’s probing camera. Tan Siok Siok ended up interviewing a whole gaggle of Twitterers, as diverse as a travel journalist metamorphosed into a “twilebrity,” a homeless woman who uses Twitter from the public library, and a prostitute who relies on Twitter as her personal GPS. We seemingly catch them in the midst of their daily lives, as unconventional as some of them may be. All have certain traits in common. One is their optimistic stance, buoyed by the support they receive via their Twitter connections. It is an essential ingredient in the world Siok portrays. Despite the dire or uncertain circumstances of some of these twitterers, there is an upbeat aspect to the whole film and Siok never diverts us into a full-blown exploration of more foreboding, ponderous social issues. Tan and Geo’s epic journey culminates at The State of NOW / 140 Character Conference at the Kodak Theater in Los Angeles in October of 2009. Throughout all this footage we witness a pastiche of lives so different from ours and yet having in common our shared access to and use of social media—along with the unpredictable, spontaneous antics of Geo Geller, always good for a hearty chuckle. Predictably, the making of Twittamentary was something of an ordeal that demanded Tan Siok Siok to muster every shred of her resourcefulness and inventiveness. Although a handful of true documentaries have been spectacular financial successes (Robert Flaherty’s Nanook of the North and Luc Jacquet’s March of the Penguins among them), about 99 percent of documentaries are difficult to finance and fail to turn a profit. In short, most documentary filmmakers are greatly—and perpetually—impoverished. That’s why a documentarian’s best friend is a sponsor, be it a wealthy individual patron or, surprisingly, a major industrial sponsor. Just as fur merchant Revillon Frères had funded the first great documentary, Flaherty’s Nanook of the North, and Standard Oil of New Jersey made possible Flaherty’s final documentary, Louisiana Story, so too did Jeff Pulver and St. John Deakins come to the aid of Tan Siok Siok and her Twittamentary. The resulting assemblage is a series of rapid sequences and sophisticated montage. With Twittamentary always teetering on the precipice of appearing avante garde, Tan Siok Siok’s narrative voice, omniscient yet serene in tone, along with accompanying titles, is the cohesive factor holding the whole work together. Twittamentary is an odyssey that started because of filmmaker Tan Siok Siok (@sioksiok) met my crazy friend Geo Geller (@geogeller). The first State of NOW / 140 Character Conference was held in June of 2009 here in New York City, and Kodak offered to sponsor the next one 140conf which was going to be in Los Angeles in the Kodak Theater. I’ve been able to introduce Twittamentary in different cities—for example, December 2011 in Tel Aviv, and it was phenomenally received by the media. Siok come out, please! You just came here from Singapore? Tan Siok Siok: Hi everyone. Actually, I flew from Beijing. The title of my talk is, ‘The Making of Twittamentary.’ There is essentially a secondary headline to the talk. Loosely translated into English it is, ‘Why would you travel 60 blocks from the 92nd Street Y on a Tuesday night to catch the premier of a Twitter documentary?’ So that’s actually what I’m here to talk about. As with any great existential question, there is both a long answer and a short answer. The long answer is really that this is not just a documentary about Twitter, but actually a documentary more aptly about the 140 Character Conference. It’s a film about Twitter made with the help of people on Twitter. But I ‘cheated.’ I cheated because I found the 140 Character Conference, and because Jeff and Geo and other people have really curated a selection of great Twitter stories, I had a ‘shortcut.’ I didn’t have to ask many millions of people who are on Twitter for great stories; I could simply go to this treasure trove of Twitter stories as kind of put together by the conference. The film itself, when you watch it later tonight, is actually a journey between two conferences. We start in New York at one of the meetups for the 140 Character Conference, and we travel cross-country to LA. The film ends up with the 140 Character Conference in Los Angeles. But no matter why you go see to the film, I’ll be very grateful. We call it ‘the Premiere’ but actually it’s probably more accurate to call it ‘the Un-Premiere.’ You know how we like to name innovative things like ‘the Un-conference.’ The reason we could call it ‘the Un-Premiere’ is because the way the film is made turns the traditional filmmaking model on its head. We actually did a lot of beta screenings organized by the community: As we were doing the rough cuts of the film, every four-to-six weeks we were screening it around the world. There have been 15 beta screenings on three different continents. They have all been put together by the community—people on Twitter who put up their hands and said they wanted to screen it for their community gave us feedback via Twitter about the film and we shaped the cut of the film accordingly. Even now Twittamentary is still mainly seen in the form of community screenings. So I think it’s a film that is really true to the spirit of the idea that it there are not just masses of people on Twitter, but communities of people who have shared interests. It’s the idea that neighborhoods are not defined by geography, but rather because you come together with other people because you share a passion about something. I always think that the art of storytelling is actually the art of creating a sense of Us. It’s not ‘Me’ and ‘I’ and my problems, or my pain, and it’s not ‘You’ and your pain and your issues. Rather, it is ‘Us.’ We made the film together. That’s the true spirit of making the film. You could see that in every part of the process, when we were crowdsourcing for initial ideas, or when we were tweeting as we were traveling across the country on a bus. You know, when you travel across the country on a bus you need a lot of help, because it’s not an easy way to go across the country. People were coming out to help us. I think that in fact many of the people who spoke here earlier, such as Mark Horvath (@hardlynormal), Andy Dixon (@andydixn) and Liz Strauss (@lizstrauss) are all part of the film, so you should go and see them. The interesting thing for me is really that I find that my whole sense of what it means to be a storyteller or filmmaker has changed, because I find that the roles have become much more fluid. The audience is no longer people who are in the distance, that are there to receive to receive my ‘genius output,’ but rather they switch roles, they play different roles in the process of making this film. A very good example of this is St. John Deakins (@StJohnDeakins), who is the producer of the film. St. John became the producer about 15 months ago, when he caught one of the early beta screenings in Singapore. At that time he had just sold off his mobile multimedia business. He looked very tanned and happy because he had made some money, and for me that was a good sign, because it meant he had some spare time and might be interested in helping me out. So, from being an audience member, St. John Deakins became the film’s producer. There are many examples of things like that occurring during the whole three years of making the film. I just want to share with you that I spent three years making this film from the time we announced the project until now. I consider today, June 19, 2012, the close of a chapter as we premiere the film in New York, where we had started making the film. I think my answer to that can be found in a classical Chinese novel called Journey to the West. [Note: In English-speaking countries, the tale is also known as "Monkey."] In it, a Chinese monk travels to India to obtain the Buddhist scriptures. It’s a fantasy novel. Essentially, the monk encounters demons, spirits and devils along the way. He has to overcome all kind of obstacles in order to get the scriptures. But the most interesting thing about the story is that when he finally makes it to India, the scriptures that are given to him are blank. I think that is also my conclusion of three years of insanity, trying to crowdsource this film, not knowing whether I could get it made—it’s essentially that there is no purpose. There is no profit. I think essentially it’s all about the process of experiencing all the beautiful chance encounters on-Twitter and off-Twitter that really is the meaning of this whole process of making the film. It’s also about what the 140 Character Conference means to me in terms of strangers around the world becoming friends, 140 characters at a time. So I hope to see you at the theater. We’ll have lots of pizza! Editor’s Note: And so we all left the 92nd Street “Y” and went to see Twittamentary. It surprised many with its contents. After the film’s screening, the lively dialogue that followed among Jeff Pulver, Tan Siok Siok, Geo Geller and the theater’s audience included Yours Truly’s inquiry as to whether I would now have to pay Geo Geller for his autograph, since he had become a big movie star. “It’s about time!” he called out. Tan Siok Siok can now lay claim to being a Twitter historian, having captured a part of its history on film. Invaluable sequences of some of Twitter’s more elusive, exotic aficionados are now recorded for posterity. The importance such footage will probably not be recognized until many decades from now. And sometimes, as in the case of Tan Siok Siok’s Twittamentary, they are also both an experiment and an adventure. Note: Are you using Google's Chrome or Apple's Safari and you don't see today's blog? Then right-click and select "reload" to reload the page.